BURLINGTON, Vt. (CN) – A coalition of industry groups representing internet service providers sued Vermont on Thursday in an effort to overturn its recently enacted net neutrality rules requiring all internet traffic to be treated equally. In a 39-page federal lawsuit, The American Cable Association, CTIA, NCTA, New England Cable & Telecommunications Association and USTelecom say that rules passed by Vermont lawmakers and those enacted through executive order by Republican Governor Phil Scott violate the 1996 Telecommunications Act by trying to regulate internet service at the state level. The industry groups – which represent providers like Comcast, Verizon and AT&T – argue that the nature of internet service, which exists beyond state boundaries, makes it inappropriate for states to enforce their own regulation. The plaintiffs are represented locally by attorneys from Paul Frank + Collins, and nationally by attorneys from Kellogg, Hansen, Todd, Figel & Frederick as well as Mololamken LLP and Latham & Watkins. 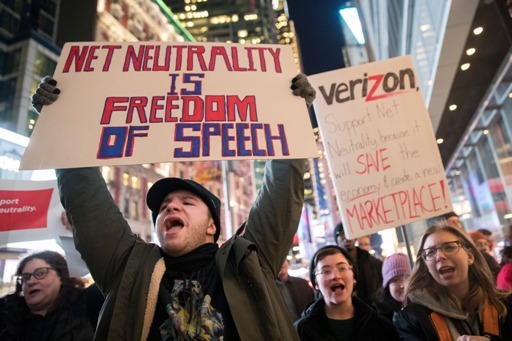 Last year, the Federal Communications Commission repealed Obama-era net neutrality regulations that prevented internet service providers from slowing down access to certain web sites and from charging certain steaming services for their users’ access. In the wake of the repeal, Vermont, along with Hawaii, New Jersey, New York, Montana and Rhode Island, have enacted net neutrality regulations through executive orders, according to the National Conference of State Legislatures. California also recently passed its own net neutrality bill, drawing a lawsuit from the Justice Department just hours after Democratic Governor Jerry Brown signed it into law.